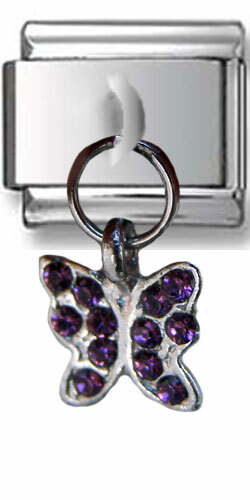 Light and gorgeous Dangle Butterfly Zirconia Italian Charm. Beautiful butterfly is accented with amazing, burgundy and sparkling zirconia stones. This is very stylish, glittering and expensive look charm.